Not able to get all the FREE channels in Fresno? There are several factors that may contribute to a poor or weak signal, resulting in the inability to receive a channel. To start, unlike pre-2009 analogue broadcasts, today’s broadcasts are all digital. Problems such as snowing and ghosting does not occur with a digital signal. You either receive a channel or don’t. Keeping that in mind, read further to develop a better understanding of the Fresno broadcast television landscape. 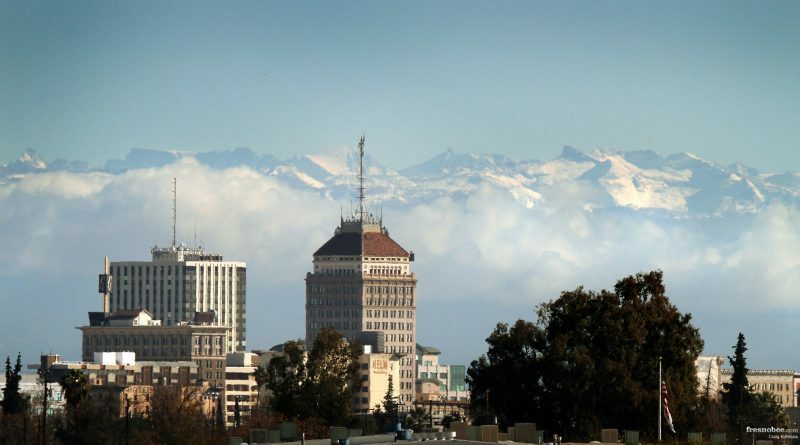 The majority of channels broadcast in the Fresno DMA are transmitted to Valley viewers from either the Meadow Lakes or Bear Mountain Transmitter towers. Our friends at FreeTVFresno.Com have put together a printable map that will help you figure out where your antenna should be pointed. You can also use AntennaWeb.Org’s interactive online service. You may find that the answer to your problems may simply involve rotating your antenna. While national retailers and ‘As Seen on TV’ advertisers may fill the air waves with ads for ‘easy-to-use indoor antennas’, Ventura Broadcasting Company’s team of engineers and television industry experts have found through their extensive research and testing that in order to receive the maximum number of channels in the Fresno area, an outdoor antenna is the ideal choice. Depending on where you live, an indoor antenna may work, but you’ll most likely be missing on out on many channels. Unfortunately, for some viewers, an indoor antenna may be the only choice due to apartment complex or housing community restrictions. We recommend that you consult with your housing management regarding installation and use of an outdoor antenna. Outlaying Regions of the Fresno Broadcast signal. For viewers that are on the outer edge of Fresno’s broadcast area, you are not out of luck. With today’s wide variety of antenna types and signal boosters, we are hearing of viewers receiving our broadcasts from further and further away. Visit FreeTVFresno.Com or call (800) 717-1306 to learn more.